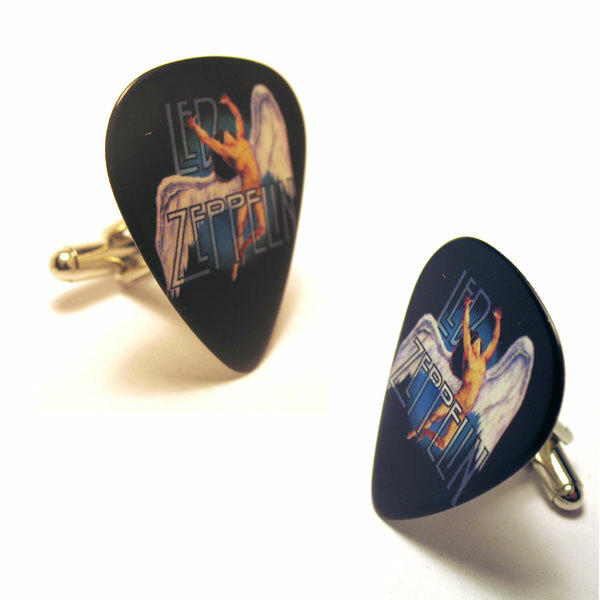 Each one of these special cufflinks is hand made in England from Plectrum picks. British craftsman carefully align each for perfect symmetry, one at a time! All are subtly unique and shine like an old vinyl record; a special “Reserve” line that can’t be found any where else! *100% N0-Risk Guarantee! If for any reason you are not 100% satisfied with your cufflinks, simply return them for a full Money Back Guarantee! We will refund your full purchase price to you, plus pay for return shipping!